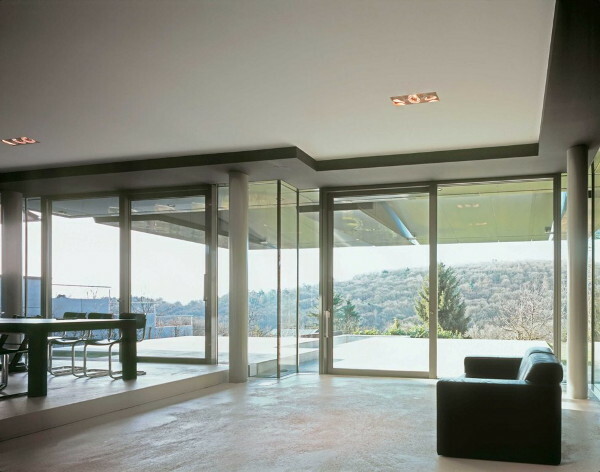 A sliding glass door adds a great deal of convenience, light, and ambiance to a room. So how do you know when you need to upgrade your sliding glass door? This small guide by Vern’s Glass can help answer that question. A big focus throughout the High Desert is energy efficient homes. Older glass doors may not offer the level of energy efficiency that is desired to maximize the value of your Apple Valley home, saving you the most money. After all, a poorly insulated glass door is much akin to an open window. The first question to ask oneself is whether a glass door replacement is necessary or if repairs to an existing door will improve energy efficiency. Sometimes poor installation is more of the problem than the door itself is, and if that is the case then Vern’s Glass can possibly make those repairs for you; depending upon the circumstances. If a new glass door installment is needed, Apple Valley homeowners have the choice to go with an energy efficient door. Sliding glass doors come in a variety of styles; if you are concerned that your slider looks dated or clashes with the decor of your home, replacing the unit with a modern door can improve the look of your home while adding value to the property. Some glass options for sliding doors include customized glazing or even frosting so that the door offers privacy as well as efficiency. Your home is only as secure as the weakest point of entry. If the weakest point of entry happens to be your sliding glass door then replacing or repairing the door will improve the security of your residential or commercial property. Sliding glass doors have been found as the weakest link in many home security systems. • The lock is difficult to use. Either it does not stay locked or it is difficult to get the lock’s lever to slide into the frames slot. This often occurs in a door that is not aligned properly in its frame. • The door’s glass or frame flexes easily. On older doors the glass is single pane and can flex easier than a double pane unit. This can be dangerous because a sudden shove on the door can dislodge it from its frame. • The Frame is warped or coming apart. On older doors, even those with aluminum frames, damage or general wear and tear can cause the frames to become weak. Frames that are damaged or weak can be exploited by burglars to gain access to your High Desert home. If you notice that the frame on your slider is damaged then call for an inspection of the unit. Vern’s Glass offers residential and commercial glass work to Apple Valley property owners and glass door replacement or repair services throughout the High Desert. For questions about your glass door just call Vern’s Glass and our professional team will be happy to provide you with outstanding answers.